﻿﻿﻿﻿Meet the Lamborghini Aventador LP700-4, the first all-new Lambo production car in eight years. Lamborghini‘s new flagship boasts some impressive figures and goes head-to-head with the Ferrari for the title of Geneva car of the show..
And while the Aventador’s styling is a clean evolution rather than a striking revolution, the rest of the car is box-fresh. The engine, gearbox and carbonfibre chassis are all brand new. Grabbing all the headlines will be the new, mid-mounted, naturally aspirated 6.5-litre V12, which boasts 690bhp and 509lb ft. That makes the Aventador the most powerful Lamborghini yet, and with a claimed 0-62mph sprint of 2.9sec and a 217mph top speed, it is also the fastest. Peak power is delivered at a heady (and no doubt pretty sonorous) 8250rpm. The gearbox sits in front of the engine, and is a unique, freshly designed single-clutch automated manual. It has seven speeds and is designed to possess the speed and polish of a typical twin-clutch affair. Gearshifts take just 50 milliseconds. As with the bulk of Lamborghini’s recent supercars, the Aventador is all-wheel drive, though with a more rearward bias than before. Ferrari chose their own website WWW.FERRARI.COM to unveil their revolutionary supercar called the ‘FF’ for Ferrari Four. 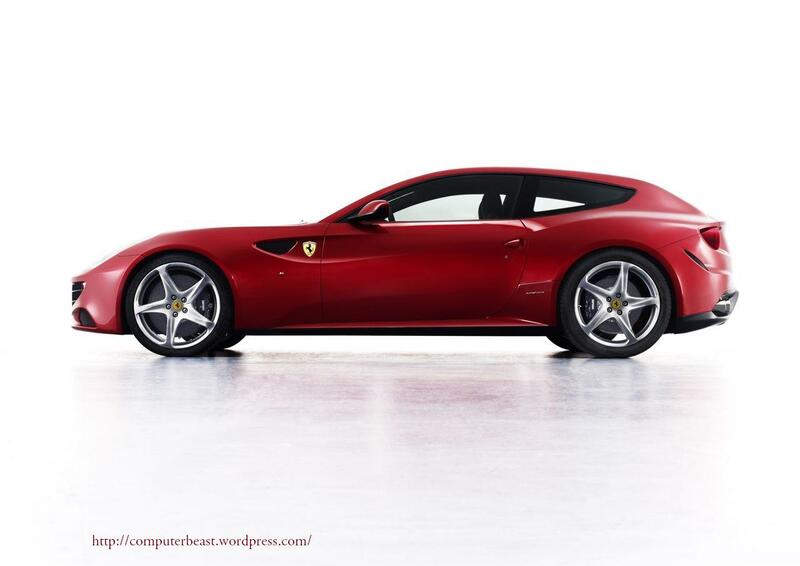 That’s four seats and Ferrari’s first ever four-wheel drive car. 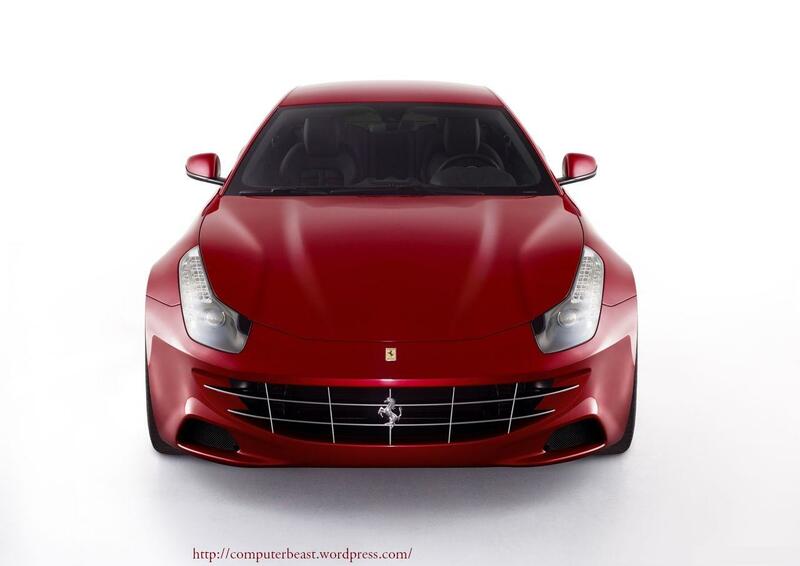 It might be a revolutionary concept for Ferrari, but Aston Martin were first to market with their four-door, four seat GT sports car, the Rapide in the first quarter of 2010, but the ‘FF’ has only two-doors and is of course a traditional Grand Tourer. 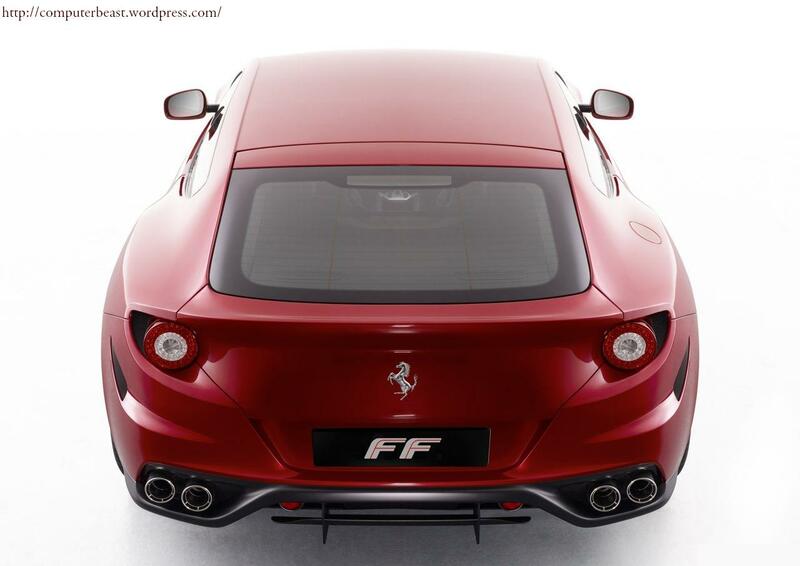 Designed by the peerless Italian design studio, Pininfarina, the ‘FF’ appears to have design cues from a number of different Ferrari roads cars, including the 612 Scaglietti, and 599 GTB Fiorano. Under the bonnet is a 6.262 cc direct injection V12 developing a ballistic 492 kW (660 CV) at 8000 rpm and 683 Nm at 6,000 rpm. Mated to Ferrari’s dual-clutch super fast shifting F1 gearbox, the FF will nail the 0-100km/h sprint in just 3.7 seconds and has a top speed of 335km/h. The four-wheel drive system, known as the 4RM, is Ferrari’s own patented design, and weighs 50 percent less than a conventional four-wheel drive unit. The system also provides for near perfect weight balance too, with 53 percent over the rear axle. Other goodies include the latest and greatest magnetorheolgical damping system (SCM3) together with the most advanced ceramic braking system from Italian brake specialist, Brembo. There’s plenty of space in the FF too, that’s room for four people and their luggage. Cabin and boot capacity ranges from 450 litres to 800 litres. There are six unique model specific colours and the interior is specially selected aniline leather.